Anthony Bourdain, the celebrity chef turned TV show host, believes there's untapped potential with digital media to dive deeper into food and travel stories. During a South by Southwest Interactive keynote moderated by Nathan Thornburgh, chief editor and publisher at Roads & Kingdoms, Bourdain talked about why he's increasingly interested in finding new ways to tell travel stories through interactive channels. Bourdain is an investor and an editor-at-large for digital-only Roads & Kingdoms. When addressing the topic of print magazines, Bourdain asked, "Can you do real deep dives?" "Everybody else has lists, people love lists, but deep storytelling …. I think we travel differently now, and what we look for in reading before we travel is wildly different [than in past years]," he said. "I don't want a list of the best hotels or restaurants. I want to be set in a place where you get a real sense of what kind of place is what." For example, Bourdain spoke of a Roads & Kingdoms story from earlier this year that was about dog killings in Southeast Asia that are used to make dog meat. 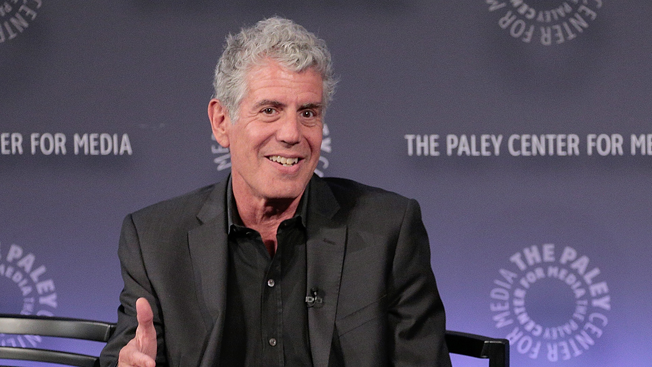 "It's my kind of story—it's painful, it's complex," Bourdain said. "You read the story, and it's very upsetting. I value good stories and people with uniquely powerful voices." At the same time, attention spans continue to shrink and consumers are bombarded with online news. "You wouldn't think of me as a sunny optimist, but I believe in good stories. I believe that there are people out there who value good stories. I was absolutely sure that [my career] was going to be over in [a few] years—16 years later, I'm still employed, which makes no sense at all," Bourdain said. "When you try to do honest, powerful—albeit confusing—stories, I think there are going to be people there." But when it comes to short-form platforms like Twitter, Bourdain has a different view. When the session opened up for a Q&A with questions from Twitter at the end, Bourdain sarcastically quipped, "Twitter is fantastic—it's like making haiku." Bourdain also talked about his CNN show Parts Unknown and the process that goes into making the hour-long series. It often includes digging into hard-hitting topics, such as an episode that takes place in the West Bank and discusses anti-Arab graffiti. "I don't know when the show morphed into whatever the hell it is, but sometimes you have to acknowledge the elephant in the room," the former celebrity chef said. "I've never had a reputation to lose, which is a huge advantage."